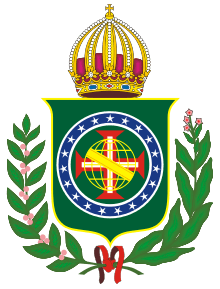 The Imperial Brazilian Army received a new order: the 48th Corps Volunteers of the Homeland, under the command of Major Secundino Filafiano Melo Tambourine, passed the 9th to the 5th Infantry Brigade of Colonel Fernando Machado de Sousa.12 From then on, this detachment had the 1st and 13th Infantry Battalions and the 34th and 48th Corps Volunteer. The Brigade of Colonel Fernando Machado, who was reunited with the 2nd Infantry Brigade Colonel Domingos Rodrigues Seixas, formed the 2nd Infantry Division of Colonel Salustiano Jerome dos Reis, the 2nd Army Corps Marshal Alexandre Gomes de Argolo Stinger Son 13 would be responsible for ensuring security so the army Guard disembark at St. Anthony, more precisely in the rut of the left margin. On December 4, 1868, gave up boarding Infantry and Artillery who were housed in the Chaco region. 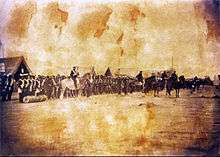 The cavalry, under the command of Brigadier José Luis Mena Barreto, followed by land to the border town of St. Helena, 14 located in the state of Paraná, chosen point for landing on the left bank of the river. According to José Bernardino Bormann, on the 5th of December, the Marshal Duke of Caxias arrives to inspect the camp, the troops and their willingness to venture. Asked by Duque de Caxias concerning occupation of the bridge over the stream and its surroundings Itororó, General Argolo Ferrao said that was not possible due to lack of sufficient cavalry and even mules to help pull artillery. Although with unpleasant news about the occupation of the stream, Duque de Caxias decided to move forward and occupy the desired position by sending squads Niederauer John Nephew and two infantry battalions, with a promise to increase the strength and firepower with more infantry and artillery when they got animals to carry greater load. The path leading to the edge of the stream was tortuous, with a dense vegetation that hindered the movement of the units, however, when John Niederauer Nephew arrived, the Paraguayans were already entrenched on the other side of the river. By nightfall, the General Argolo Niederauer warns about positioning enemy and therefore awaits further orders Caxias. Already being in darkness and the rugged terrain and little known Marshal Niederauer ordered to retreat, but they tick off the general strategic positions in the advanced forces should remain until dawn. During the wait, it is reported that the troops had a festive air, the soldiers were at ease, dancing and singing around campfires. After a night of joy and festivities to overcome nervousness, Dec. 6 arrives with silence and apprehension. With the touch of dawn, the soldiers begin their chores and ready for the inevitable conflict. Episode of the passage and take of the bridge over the stream Ytororó, on December 6, 1868. To get to the bridge Itororó through the city of San Antonio, Brazilian troops would travel more than two miles, through a difficult road for the cavalry and artillery. For the safety of the group, the Brigade of Colonel Fernando Machado composed of four battalions followed in the rear, making the security of the 2nd Army Corps. 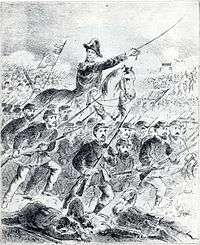 The latter ensured the protection of the first group, the Squadron Cavalry Brigade Colonel Niederauer Nephew. When the task force came together to bridge Itororó the army commanded by Colonel Serrano was already in place, waiting for the clash with the Brazilians. By order of Marshal Argolo Stinger Son, the Brazilian Imperial Army began the attack, while the 1st Battalion followed in the rear of the Brigade of Colonel Fernando Machado to ensure their safety. The Colonel ordered further that cavalry brigades and fire-hydrants to follow the bridge to face. 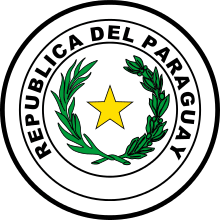 On the Paraguayan side, Colonel Serrano strengthened the defense of the land occupied, knowing that the fight on the bridge would be difficult, swelling the number of soldiers on the bridge with only the troops that were closer. The struggle depend more on dexterity of his men than the amount of fighters on the river. In addition, a word-of-fire had been placed strategically next to the bridge to eliminate any soldier who exceed the other side. The first encounter was with Lieutenant Colonel João Antônio de Oliveira Valporto, 16 which progressed with five companies of the 1st Battalion line toward the mouth fire-posted by the Paraguayans. His onslaught was positive because could take her, however, was faced with a great line of enemy infantry and also four more mouths-of-smoke, which struck with devastating power. Accordingly, the Companies Lieutenant Colonel retreated in a confused way to the other side. Death of Colonel Fernando Machado. Noticing that the battalion retreated, Colonel Fernando Machado advanced on the bridge with the bodies 34 and 48 of the Volunteers of the Homeland, thrusting against the enemy, leaving the 13th Corps line of protection for your artillery. However, his attack was a failure, because the enemy artillery opened heavy fire on his group, hitting him so deadly in the middle of the bridge. John Niederauer Nephew crossed the bridge with 6 ° Group Lancers and flanking Battalions Brazilian Imperial Army, stormed the Paraguayan troops, which retreated hastily. With this, Niederauer was able to take the four fire-mouths of the enemy, which had managed to disband the ranks of the allied battalions. The Brazilian Imperial army was weakening, losing many men and leaving many others out of the fight due to injury or bruising. The delay in the appearance of General Osório to combat, as determined previously by Marshal Duke of Caxias, made the latter, at 65 years of age, marched toward the enemy, cheering and calling the emperor Brazilians for what seemed to be the "all or nothing" this first episode of the War of the Triple Alliance. Soldiers weakened, but touched by the bravery of his marshal, followed him for a showdown with redoubled spirit and took the position permanently.